It is summer time and we are living in a new city so we are exploring new places. 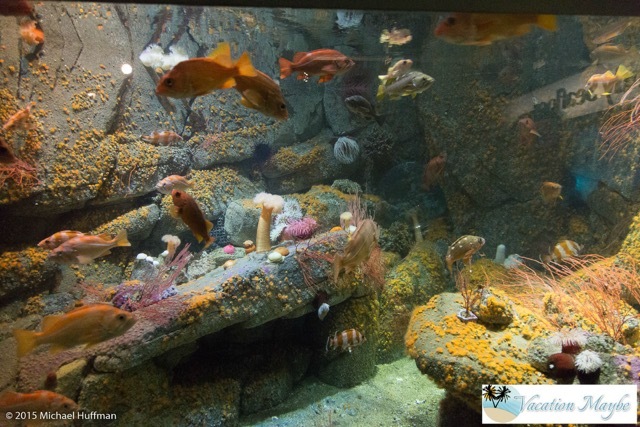 We recently went on a trip to Monterey and visited the state of the art Monterey Bay Aquarium. The museum is located at the end of Cannery Row at the site of a former Cannery and the Chinese Housing district. There are many different exhibits and experiences to make your trip memorable. One of the things the museum is known for is the giant kelp tank full of so many different various fish and marine plant life. The tank extends from the first to 3rd floor. There are also touch pools (Rocky Shores) where children can interact directly with the marine life. One of the most popular touch pools is the Sting Ray exhibit. My son (2) was afraid of all of the touch pools, which is odd since he is a fan of water, but he was the Wave Crash exhibit. You experience what it is like to be under a wave without getting wet. The aquarium pumps about 600 gallons of water and “crashes” every 30 seconds. That’s more than 500,000 gallons per eight-hour day. 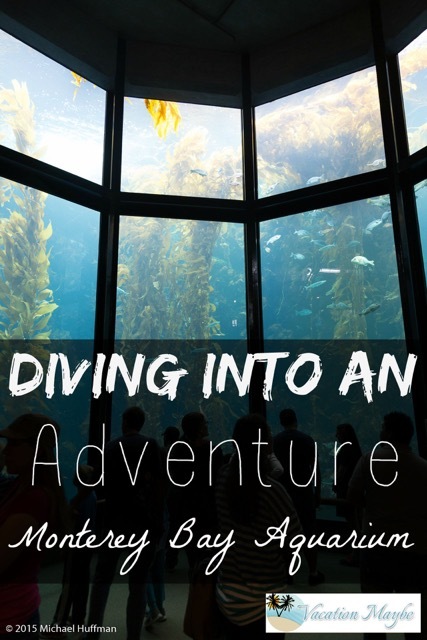 There are so many different sections of the aquarium to enjoy it is hard to pick out my favorites, but other highlights from our trip included visiting the jellies, the open sea and the splash zone. The Splash Zone was a perfect spot for a two year old to climb through tunnels and play with the hands on exhibits. 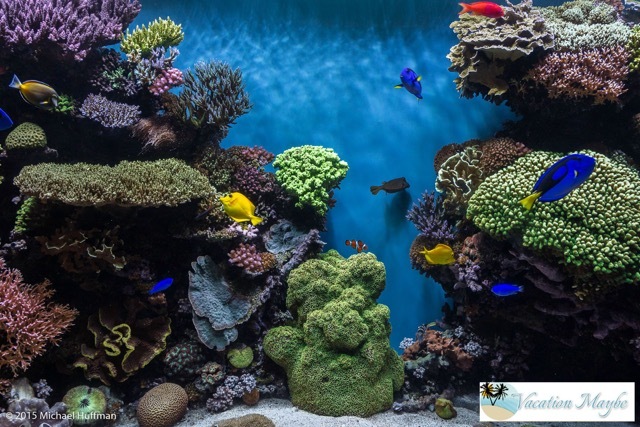 There is so much to learn from the aquarium and the Splash Zone was a great place for kids of all ages to interact with the various exhibits. The cost of visiting the Monterey Bay Aquarium is $39.95 for adult and $24.95 for children. Check out their site for more details and different promotions available. There are also additional excursions, ranging from feeding various marine animals to learning to scuba dive, for an additional fee.